Perry Block - Nouveau Old, Formerly Cute: Eleanor Roosevelt: Ghostbuster! History has a way of oftentimes throwing us a curve that no one ever expects, especially if you are a batter on the 2012 Philadelphia Phillies of the NL East Division of Major League Baseball. Nowhere has this proven more true than in recent incredible revelations regarding certain great American Presidential figures whose lives and legacies we all thought we had long fully known and understood. It began with shocking discoveries about our 16th President revealed in the book and movie Abraham Lincoln: Vampire Hunter and continued with astounding revelations that President Ulysses S. Grant was a talented mime, Woodrow Wilson a sought-after caterer, and George W. Bush an alien abductee whom, sadly, the aliens decided to throw back. In his superb new book, Who You Gonna Call?, Dr. Peter Venkman maintains that Mrs. Roosevelt was indeed the one to call morning, noon, and night if you found a wayward demon, succubus, or arch-fiend from Hell sitting on your doorstep, trying on your underwear, or trying to register you Republican. "Mrs. Roosevelt developed an active interest in the paranormal," writes Venkman, "to distract herself from her husband's dalliances with social secretaries Lucy Mercer and the aptly named Missy LeHand. It was Eleanor who, concerned about alarming the Depression era populace, counseled her husband to delete the word sliming from an important line in his inaugural address and replace it with the words fear itself." As America entered World War II, Mrs. Roosevelt turned her parapsychological talents to the defense of her country. "The Axis Powers will be fully unstoppable," Eleanor wrote in her journal of August 14, 1942, "if Hitler, Mussolini, and Hirohito should ever team up with the ginormous Stay Puft Marshmallow Man. Even I can't resist his fluffy goodness!" 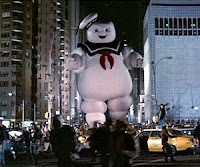 Mrs. Roosevelt became convinced that the Allies' only hope to was to convince the Marshmallow Man to convert to Judaism. Unfortunately Roosevelt's efforts in this regard foundered when a specially arranged meeting with Secretary of the Treasury Henry Morgenthau failed to induce in the Marshmallow Man the desired religious fervor to wear a 45 foot tallis knitted by the multi-talented Mrs. Roosevelt herself while Secretary Morgenthau for his part gained 57 pounds of pure unadulterated sugar fat! 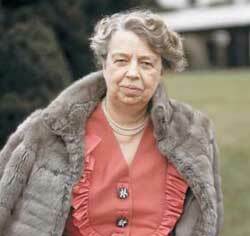 Following the death of Franklin Roosevelt and until her own death, Eleanor continued her distinguished career of writing, speaking, campaigning for human and civil rights, and wrestling barehanded creatures so odious and disgusting Hagrid from Harry Potter would have jumped up on a chair screaming "Eeeek!" And so, as we today newly honor Abraham Lincoln not only for saving the Union but for saving things from sucking way more than they might have, we also honor anew Anna Eleanor Roosevelt. 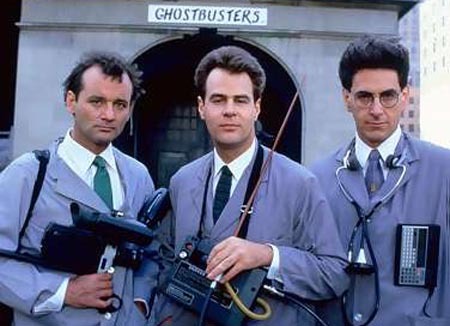 So, who you gonna call, boys and girls? Can't wait for the movie. Scarlett Johansson as Mrs R., anybody?